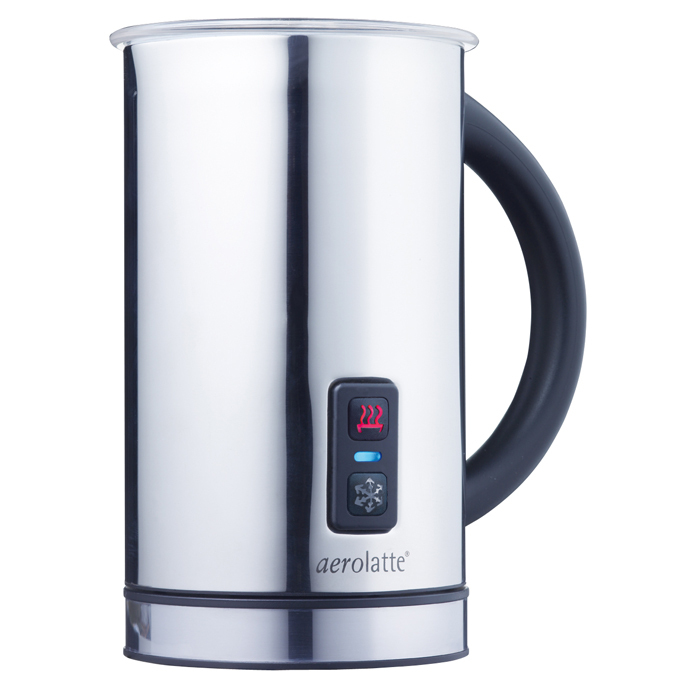 aerolatte® the brand leading milk frother. The aerolatte® Compact frother whisks while it warms to make delicious frothed milk for cappuccinos, caffè lattes and hot chocolates from ordinary cold milk. Using the tried and tested aerolatte® frothing head, you can be asured of the perfect hot frothed milk brought to you from the company that introduced the world to steam free milk frothing. • Magically creates creamy hot or cold milk foam. • Milk froth for up to 2 cups of cappuccino.